SHEPL is a member of prestigious IMCA and ADC and is accredited to all the major IACS(International association of classification societies). SHEPL maintains a creative and experienced team and a versatile range of IMCA compliant and certified diving equipment which can be configured to provide Subsea solutions for any Offshore Activity. 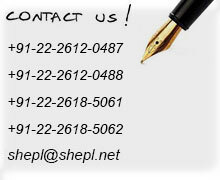 SHEPL offers 24X 7 COMPLETE SUBSEA SOLUTIONS.